How high should a CPC bid be pitched? The term ‘cost per click’ (also cost-per-click, or CPC) describes a method of billing advertising costs which is used in online marketing. 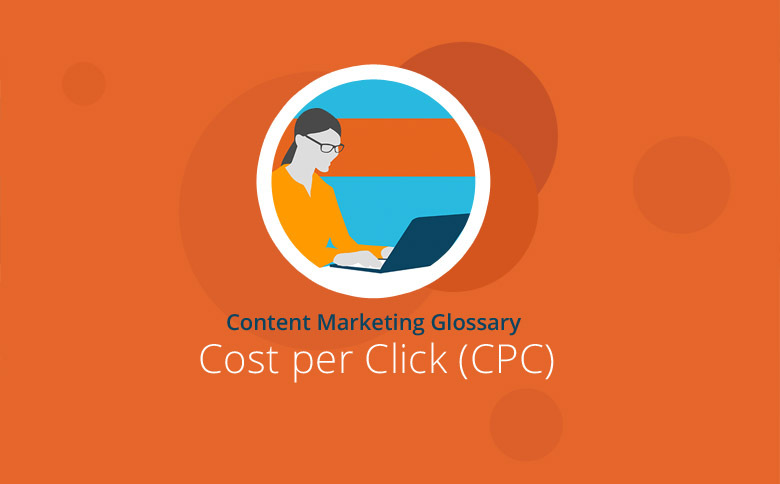 The CPC model is used to determine how much an advertiser will actually pay in advertising costs when he chooses a ‘pay per click’ (PPC) payment option. Internet advertisers can choose various payment models, and pay per click is one of the most common. With this model, each click on an advertisement (banners, text advertising, etc.) generates a cost that is charged to the advertiser. The actual amount owed is calculated using the CPC billing process. The CPC model is one of the most important pricing methods used in search engine advertising, and during discussions the terms ‘cost per click’ (CPC) and ‘pay per click’ (PPC) are often used interchangeably. When Internet advertisers create advertisements under the PPC model, an intermediary such as Google then places the ads on appropriate targeted sites or in search engine results. The ads are usually displayed to specific target groups, and whenever a user clicks on a banner or text ad, the advertiser then pays a certain pre-determined fee. The resultant billing costs are calculated using the cost-per-click method. With its AdWords and AdSense networks, Google is regarded as online marketing’s largest advertising broker. Although different bidding procedures do exist, cost-per-click is the most widely used model. The Google AdWords cost-per-click model employs a system in which ads accepted for the most desirable advertising locations are allocated by auction. Advertisers participate in the auction by indicating the maximum amount they are prepared to pay for one click on their ad – and under this system, the higher the amount bid, the greater the chance of securing a good advertising space. To determine who actually gets the best advertising space, Google calculates a value by assessing each bid amount in combination with other factors. Though a higher bid does improve the chances of success, the price an advertiser is willing to pay is not the only factor taken into account. Google’s Quality Score, as well as the keyword and the environment in which the product is being advertised, will also influence the placement of the advertising. According to Google, a click on an ad can never be more expensive than the maximum bid amount the advertiser has agreed, and if the next-closest advertiser bids much less than this figure, the cost can also be significantly lower. Google refers to the price that an advertiser ultimately pays as the actual cost per click. Bidder A has a Quality Score of 5, Bidder B has a Quality Score of 6. Both bid for the same keyword. Bidder A offers 5 dollars, Bidder B offers just 4 dollars. Bidder A wins the auction. The bidder can submit Google bids manually or automatically. With automatic bidding, AdWords selects the best bid that the bidder’s budget will support. The bidder stipulates a maximum daily budget and Google then determines which strategy will enable the ad to generate the most clicks. With manual bidding, the bidder decides exactly what maximum amount to pay for a keyword or ad group. As a result, he maintains control of his bids but will need to expend more effort to accept a bid. After the maximum bids have been submitted, Google then moves on to determine which bidder bought what advertising space, with the actual CPC then decided by auction. Bidders A and B are each awarded the same Google Quality Score. Bidder A offers 5 dollars, while Bidder B offers 3 dollars. Bidder A wins the auction. Though his maximum bid was 5 dollars, he pays just 3.50 dollars because the actual CPC is based on the next lowest bid. AdWords software allows each bidder to observe and analyze his bid-rivals. It’s possible to see information such as who is bidding and how often ads are viewed. However, the software does not indicate how much a rival’s CPC bid was or how much he paid for his advertising space. However, many SEO tools can provide such information. After advertising rankings have been awarded, ads will be displayed according to this relative positioning until an advertiser’s budget is exhausted, he makes further adjustments, or he is outbid by a rival. Cost per acquisition (CPA): With the CPA model, advertisers pay for each conversion (or some other acquisition) that is gained via a click on the advertisement. The advertiser defines what the conversion/acquisition should be: Perhaps a newsletter registration, the opening of a user account, or a purchase from an online store. Similar billing models include CPL (Cost per Lead = payment for each generated contact) and CPO (cost per order = payment for each order generated). Cost per thousand/ cost per mille (CPM): The CPM model is based on so-called impressions – an impression occurs when an advertisement is displayed once on a website. An advertiser pays for however many thousands of times Google has displayed his ad across one or more sites. With this model, it is irrelevant whether a user has actually seen or clicked on the displayed ad. The CPM model can only be used for ads on websites using Google AdWords or AdSense on Google’s Display Network. Cost-per-view (CPV): billing via the CPV model relates to video views. Here, advertisers pay according to the number of view requests or for other actions, such as a click on a call-to-action button. CPC is the probably the most-used model on Google AdWords. It offers the advantage that an advertisement only raises a charge once the user has viewed the ad and acknowledged this via a click – thus confirming some level of interest in the product or offer. Unlike CPM invoicing where it is never really clear whether a user has actually viewed or become aware of the displayed ad, CPC clicks can be easily quantified. However, CPC invoicing does have its drawbacks. For instance, studies indicate over and over again that users often click on ads by mistake – especially on mobile devices – and thus generate costs. The advertiser can also incur unnecessary costs if an AdWords ad is displayed on a page, even when the same ad also appears in the search results directly below. And last but not least, CPC invoicing runs the risk of misuse: users may intentionally make repeated clicks on an ad, driving up the advertiser’s costs. Google tries to control this as much as possible and does not charge for invalid clicks. CPC is a common pricing model for Internet advertising in which costs are charged per click, and this model is especially common in Google AdWords. Here, the cost of each click can be calculated via a bid process in which the bidder’s status is evaluated according to a range of different criteria. Advertisers can bid to place advertisements either in Google search results or on Google’s Display Network. AdWords is considered Google’s main source of income and the CPC process is used by thousands of Internet platforms to auction their most desirable advertising space.